iCubes is a dedicated Email Marketing service provider that assists organisations with their email marketing requirements. Its services mainly include Email campaign management, lead generation, Email marketing consulting, trainings & workshops. iCubes empowers you to connect with customers and achieve true ROI, with the award winning in-the-cloud Email Marketing Solutions and supported by experts having a global exposure into Email Marketing. iCubes offers full outsourced Email marketing services including campaign consulting, concept, design and implementation as well as self service solution enabling clients to self manage their own email broadcast campaigns. Its consulting services include building Email Marketing programs and consultancy to fine tune the campaigns for optimum ROI. The email workshops – public enrolment & custom tailored for Corporate is the most sort after programs in the Email domain in India. 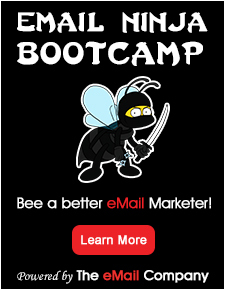 Its Email education portal – emailvidya.com, Asia’s first educational series, workshops and Certifications in Email Marketing accredited by Internet And Mobile Association of India is launched with the objective “Enlightening Email Marketing literacy”.